Boruto: Naruto Next Generations' manga is continuing on its current Kawaki focused arc, and with Naruto overseeing his protection, the first of many challenges has come to his door as Delta of Kara has come to fight Naruto to take Kawaki away.As Delta reveals how powerful she really is which appears that she actually managed to do quite a bit of damage to Naruto. But as fans of the series are all too aware, Naruto will not go down as easily and faked all of his injuries. 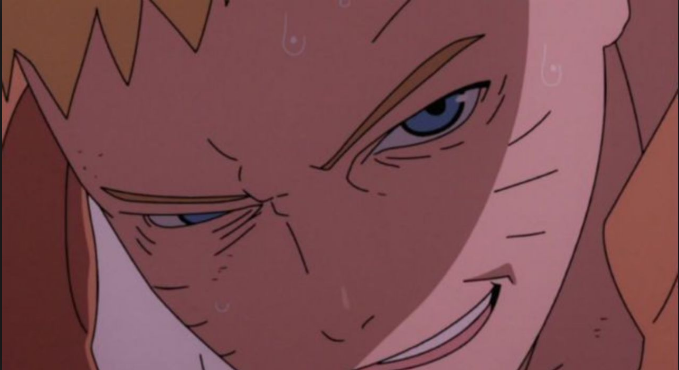 In Chapter 31 of the series, Kawaki reveals that Delta is actually one of the strongest members of Delta, known as the Inners. It's quickly revealed as to why as she attacks Naruto with a flurry of powerful kicks. As hinted in the previous chapter in which her legs morphed into jets to fly her over to Kawaki, Delta too has been modified by Scientific Ninja Tools. Like how Kawaki's lack of chakra control was made up for the fact that his body has been altered with Scientific Ninja Tool abilities, Delta has many modifications of her own. When Naruto launches a Rasengan at her, she absorbs it with her eyes. Then spikes spawning from her legs come up from the ground and catch Naruto by surprise. Her modified legs then do damage to Naruto, even when he activates his Nine-Tailed Beast chakra form. One of her leg spikes then pierces Naruto's side, and she pins him to the ground. He tries to ask her what she needs with Kawaki, and she digs the spike further into him. But while it looks like Naruto has been completely overwhelmed, Delta removes the spike from him and says Naruto is a bad actor. His wound had actually healed super fast, and he was only faking being fatally damaged in order to get Delta to drop her guard. He wanted more information out of Delta, and had been faking in order to see how much information she would willingly give if she thought she had the advantage.